Don’t Miss the 2017 Berkshires Arts Festival! Come out to the Berkshires July 1st through the 3rd, 2017 for the Berkshires Arts Festival! The annual festival attracts top artists and art fans from across the US and Canada for a weekend of art and crafts, live music, food, drink, and much more. The Berkshires Arts Festival is much more than just some open-air arts and crafts show. In the 16 years since its inception, the Berkshires Arts Festival has become one of the most respected annual summer art events in the country. It’s certainly one of the most prominent annual events in the Berkshires! 200 artists come from around the country to showcase their newest and best works. Posted in Berkshire Festivals | Comments Off on Don’t Miss the 2017 Berkshires Arts Festival! The upcoming, 15th annual Berkshires Arts Festival – July 1st through the 3rd – is a summertime tradition that attracts artists and art-lovers alike to the Berkshires every year. The Berkshires Arts Festival is a great way to celebrate the start of summer and as well as give you just one more excuse to visit the Berkshires! Thousands of art lovers attend each year, soaking up not just the Berkshires Arts Festival but also the theater, dance, music, and other expressions of culture that the Berkshires are known for. Butternut is a friendly resort that also has many family – oriented ski areas, ideal for youngsters just learning to ski or snowboard. Ski Butternut is also affordable, offering bargain ski lift tickets and downright cheap season passes. Of course, they also offer ski and snowboard lessons and rental skis or snowboard packages. 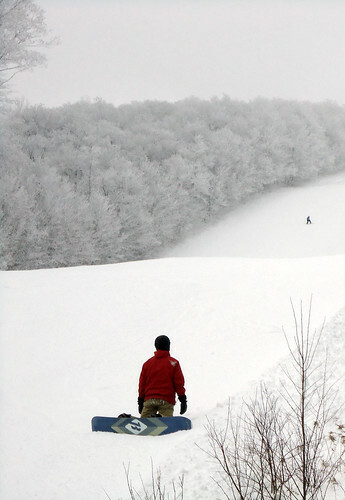 Ski Butternut is a ski area located in Great Barrington, less than thirty minutes from our Lee MA Bed and Breakfast. Though spring is just around the corner, there should be snow for some time to come. In other words, plan a ski vacation in the Berkshires. Drop everything and take advantage of our Spur of the Moment Special. If you and your skis can be here within 24 hours, you’ll receive a 15% discount on your entire stay. Book two nights in advance (Sunday through Thursday) and enjoy savings with our Two Night $75 Special. Pay for one night and receive the second night for just $75.